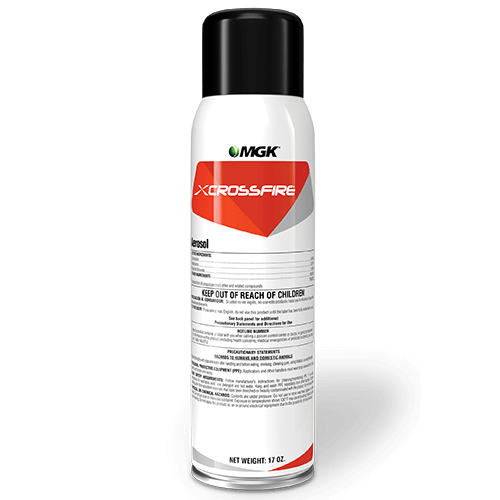 CrossFire Aerosol kills pyrethroid-resistant bed bug strains at all life stages, including eggs. Available as both an aerosol and concentrate, the patented formula with multiple modes of action is the only bed bug product with three actives. The results save time and money. Rest easy with the ideal bed bug solution. CrossFire changes everything. What package sizes are available for CrossFire?